There are a quite a few common misconceptions surrounding Reiki. These exist within the non-practitioner healer community as well as just the general public. 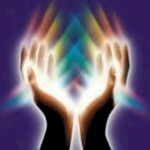 Reiki will work regardless of whether you believe in it or not, as long as you do not resist the flow of treatment. It is often thought that Reiki is a sort of placebo effect, requiring the belief mechanism within our own mind to generate healing or energy changes. This is also not true. A healer or Reiki practitioner is simply a channel through which the healing energy flows. The source of the energy is the Universe, the God, the Creator, or the Source (or whatever you may choose to call it). Once trained and attuned, practitioners are capable of channeling Reiki energy throughout the patient. The myth that metal objects can block the flow of the Reiki energy is a very common one. Some believe that healers and patients should not wear jewelry, but Reiki has been experienced and proven to work and “pass through” not only metal objects placed close to the body, such as jewelry, but also through walls, through mountains, across oceans, even across the entire planet – distance healing sessions are a very common practice in Reiki.